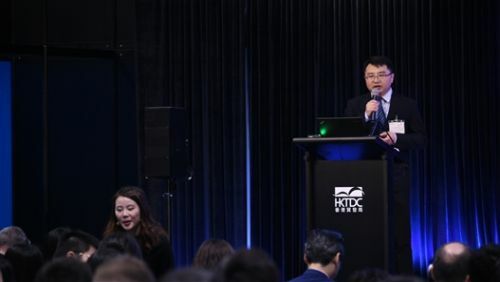 HONG KONG, Apr, 08 2019 - (ACN Newswire) - Lighting industry innovators discussed the recent history, latest innovations, and present and future trends in the global smart lighting market in the Innovation in Smart Lighting Forum on the first day of the HKTDC Hong Kong International Lighting Fair (Spring Edition) on Saturday (6 April). The market outlook from the supply-side perspective is pessimistic because of an overheated market, according to Figo Wang, Chief Research Analyst and Research Director at LEDinside, TrendForce Corp. But the commoditised MOCVD market in China is a game changer, he said, because of much lower costs and much faster delivery times from Chinese producers, which are slashing the earnings and market share of the traditional big players, but providing users with great opportunities. The market, until very recently, was dominated by two companies, one American and one German; but the recent entry of Chinese producers has resulted in both prices and delivery times being cut in half. In China's large domestic market, Chinese suppliers had a market share of 47% in 2016, but this rose to 69% in 2018. With the supply increase, some upstream companies will lose money, said Mr Wang, but equilibrium will soon return to the market. The new pricing strategy of Chinese producers meant there was no more price discrimination against small companies, he said, so more companies can afford MOCVD, lowering the entry barrier. On the demand side, the LED market was maturing, he explained. The lighting segment was the largest market for the LED industry, but the growth rate of this segment is insignificant. The micro and mini LED segments are growing, but they are facing a supply shortage. TrendForce's analysis of Chinese lighting and luminaire exports shows that they have been falling since 2015 because of the strong RMB and US tariffs - since the US is a US$8 billion market. Exports to the US shot up in October and November because of the tariff uncertainty, but have fallen in recent months, he said. LED lighting continues to replace grey lighting, said Mr Wang, and is growing 2-3% per year. But inventory is also continuing to grow every year, which will be a challenge for the LED lighting market. In the medium-to-long run, higher prices attract more participants, but this in turn, leads to more competition and lower prices. Since demand is peaking and technology is advancing so quickly, there will be pain in the manufacturing segment, he predicted, but the survivors will benefit. "Smart lighting will add value and help increase demand," he concluded. "Market demand will be driven by innovation." "The future of facade lighting must have a goal," said Simon McCartney, co-founder of Illumination Physics (IP), "which involves its total integration with the architecture." The inhibitors are globalised products and standardisation, which in effect force architects to adapt their creations to the lighting fixtures available, he said. The company, however, believes in the opposite approach, meaning it is the job of lighting specialists such as IP to adapt their lighting products to the architect's creation and to provide "exactly what is required for each application." Mr McCartney reviewed six case studies in Hong Kong, Macao, Singapore and Cyprus to show the ways in which IP adapted LED lighting to building design. In the facade design for the HSBC Main Building in Hong Kong to celebrate the bank's 150th anniversary, for example, IP replaced the halo lighting on the facade with LED lighting, using thin strip LEDs inside the wall, which are invisible from the outside during the day. The content is legible from a distance of 100-3,000 metres. HSBC can now use the media wall for marketing and branding, but its main function is to form an integral part of Hong Kong's 'A Symphony of Lights' lightshow. As a bonus, "the use of LED lighting reduced energy use by about 80%," said Mr McCartney. Lighting and mobile phones share an analogous evolution, explained Tjaco Middel, Head of R&D for Asia Pacific of Austrian company Tridonic, a leading global provider of smart and efficient lighting solutions. The original mobile phone was designed to do only two things - phone and text - but since it became connected to the internet, almost anything is possible. Similarly, lighting provides a basic function, but when connected to the internet, the possibilities are endless. Just three years ago, the focus of LED lighting changed from just LEDs and energy savings to controls, explained Mr Middel, because controls allow new business opportunities, such as smart lighting and more beautiful buildings. Now the mobile phone can be used to control light, but this just makes it a remote-control device. "It must be connected to the internet to be great," he said. * Connected lighting allows remote commissioning. Since 80% of a building's costs are operational, remotely commissioning lighting can reduce operational costs. * With intelligent lighting, the software systems can be updated, future-proofing the lighting system. "If the software can be updated, the luminaires will last much longer," he said.